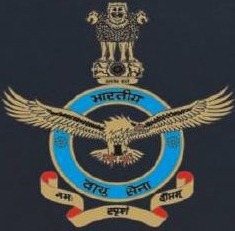 Indian Air Force (IAF) is organizing a Common Admission Test for hiring of Both MEN & WOMEN for its courses proposed to start from January 2013 & July 2013 (for UES -2013) . IAF will be providing a Short Service Commission in Flying, Technical and Ground branches to the Selected Indian Citizens. Posted in Electronics and Communication, Freshers, Government Job, Mechanical. 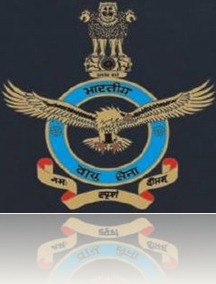 Tags: AFCAT, Air Force, Defence, Electronics, Indian Air Force, Mechanical, public sector job, UES, University Entrance Scheme on December 13, 2011 by Neeraj. DRDO (Defence research and Development Organization) is looking for engineers to Come up and join as JRF in their Company. Academic Eligibility: Engineering degree holder in Civil or Computer Science discipline with First Division in BE/ Btech. Posted in Civil, Computer Science, Government Job, IT, Research Fellowships. Tags: Civil, Computer Science, December 2011., DEFENCE RESEARCH AND DEVELOPMENT ORGANISATION, DRDO, DRDO job for BE/ BTECH, Junior Research Fellow (JRF), public sector job on December 3, 2011 by Neeraj. Jammu & Kashmir Police is having job vacancy for hiring Freshers Engineering passouts for the post of Sub Inpectors. This is a government/ Public Sector job Opportunity. Educational Qualification: An engineering Graduate having a B.E. / B.Tech degree from a college/ university approved by AICTE is eligible to apply for this post. Posted in Electrical and Electronics, Electronics and Communication, Electronics and Telecommunication, Freshers, Government Job, Job After Btech, With experience, Without Experience. Tags: Btech Governemtn Jobs, Governemnt job 2011, J & K Police, Jammu and Kashmir Police, public sector job, Sub Inspector on November 1, 2011 by Neeraj. Punjab Pollution Control Board Patiala invites Online Applications from eligible BE/Btech & ME/Mtech passouts for recruitment as Assistant Environmental Engineer. Posted in Apply online, Chemical, Civil, Environment, Freshers, Government Job, Job After Btech, Jobs after ME/ MTECH, ME, Mtech, Without Experience. Tags: Apply online, Assistant Environmental Engineer, BE/Btech, Goverment jobs, june 2011, ME/MTech, PCCB, public sector job, Punjab Pollution Control Board on June 27, 2011 by Lalit Joshi.